Good Day ladies! Finally, here it is. 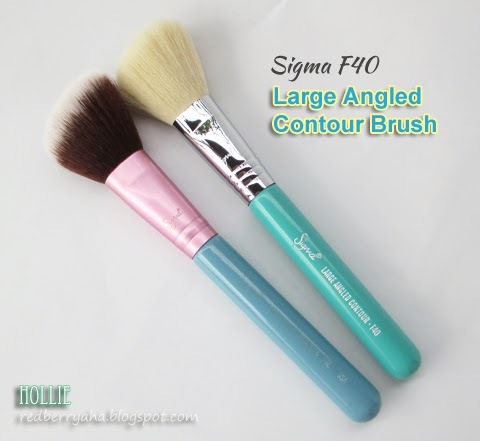 After so long, I now got the chance to play with my new makeup brush set from Sigma! I won one of Sigma's giveaways last year around June 2013. I Know I'm so Lucky!!! 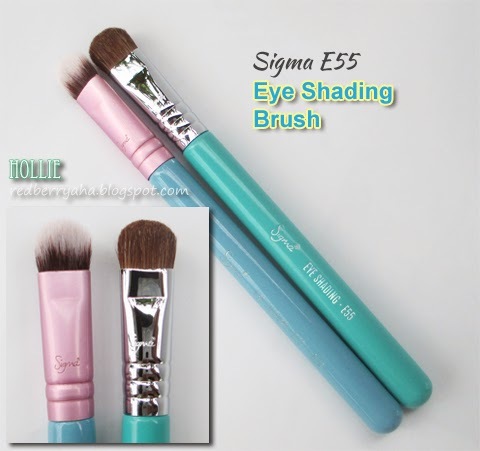 (grin) Just really wanted to let you have a closer look at the Sigma Make Me Cool Travel Kit makeup brushes. 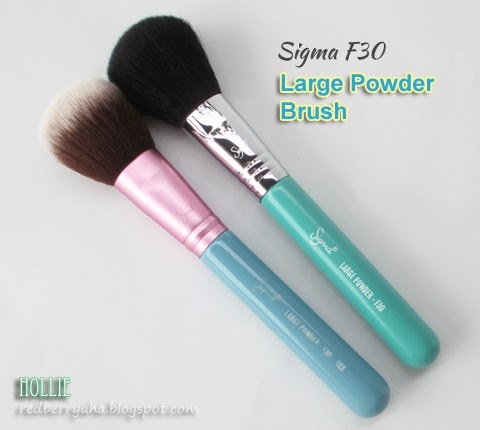 The Sigma Beauty Make Me Cool Travel Kit was specially designed for a fun yet functional makeup application. This kit contains seven travel-size brushes from our best-selling Essential Kit. The brushes come in an innovative and functional container that turns into two brush holders to keep you stylish and organized on the go. 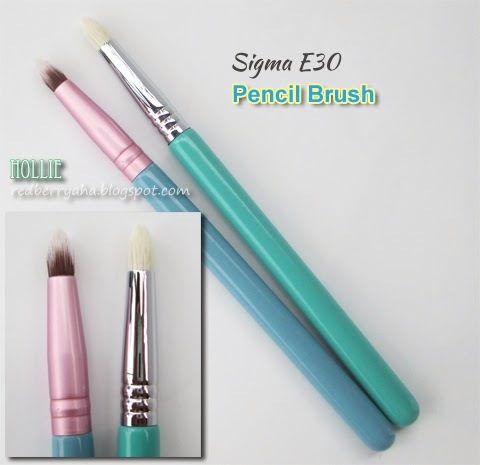 E30 - Pencil: Soften and smoke out lines. Soften pencil liners along the top and bottom lash lines, add shadow to line the eyes or use to highlight inner corner of eyes. The Make Me Cool Travel kit comes with a convenient and sturdy container which turns into brush holders. This comes very handy when you travel. 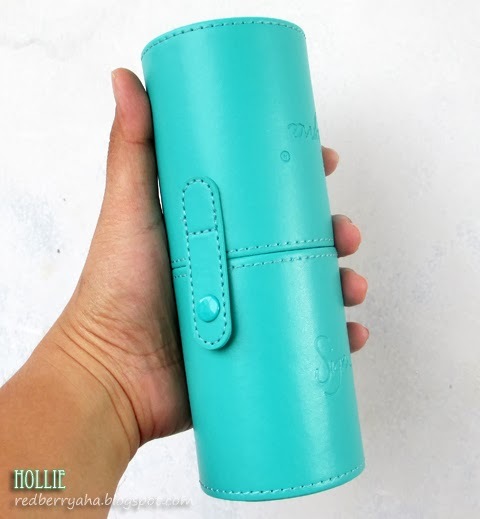 Another thing that I really like about the container (apart from its gorgeous bright teal shade), it is made from leatherette material which is very easy to clean. Lastly, the size of the container is just enough for you to hold comfortably. 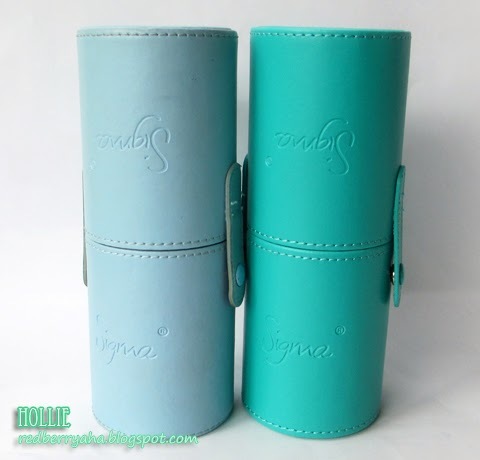 The Mrs. Bunny Travel Kit comes with the Vegan Sigmax HD fibers while the Make Me Cool Kit doesn't. 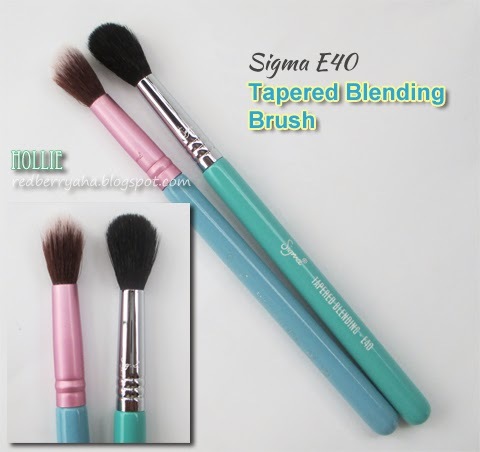 Don't get me wrong, even though the Make Me Cool Travel Kit does not come with Sigmax bristles, they are still very soft and made from high quality bristles. 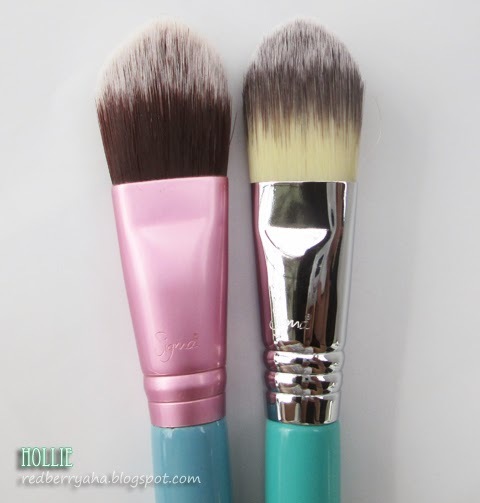 Here are the comparison of each of the seven brushes, so you can see their difference. * handy and convenient because the size of the brushes and container are just right. I really love the Make Me Cool Travel kit. 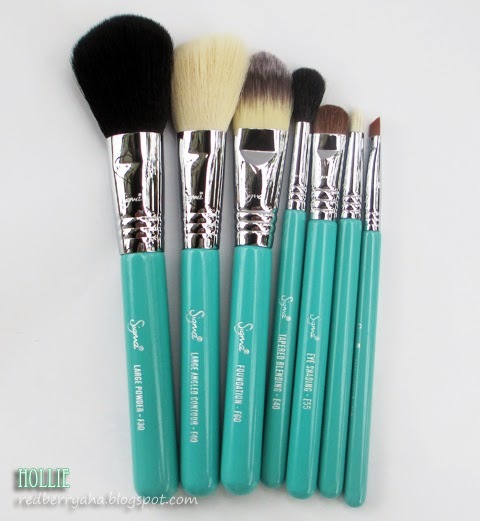 The quality is superb and it's currently the only brushes that I use personally. My other brushes are for clients. Would I recommend this? Yes Yes Yes! especially if you have the extra moolah to splurge on these brushes. 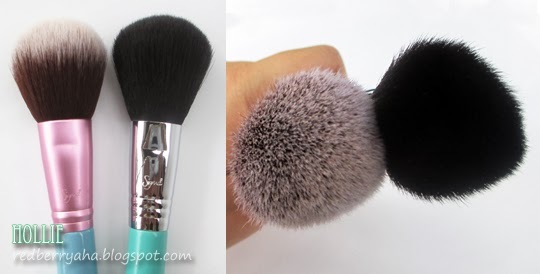 @Anne, I think I saw an individual brush from Charm Brushes that looks like the tapered blending brush, it was sold for 250. @Elle, that's okay. 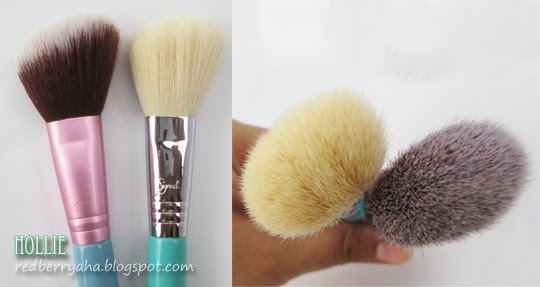 You could always go for Real Techniques brush since they good quality brushes and really affordable. @Shayne, thank sis dear. 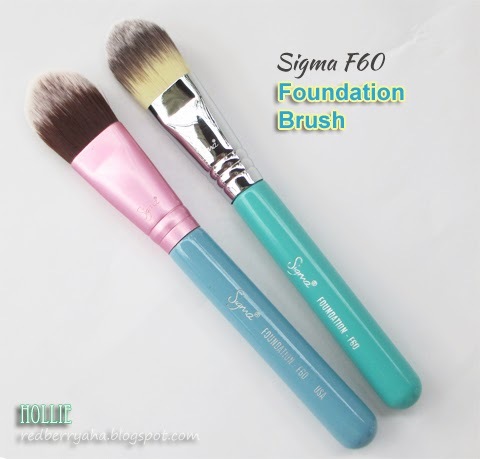 My dream brush sets would be the Sigma Essentials Kit. But it costs twice as much LOL. 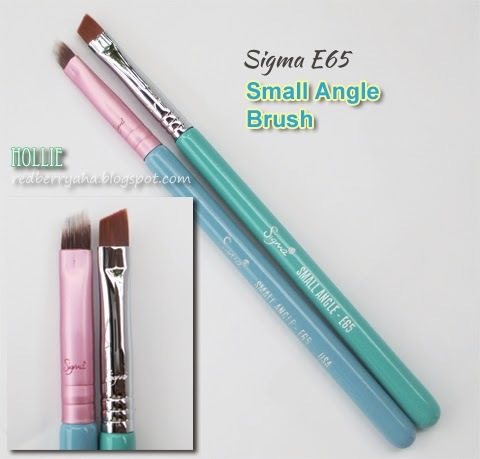 @Rochelle, thanks, apart form the quality of the brushes, the color of this kit is just fabulous! Hi, Hollie! So glad I found this post :) Just one question, Mr. Bunny brushes look very soft, so I think face brushes would work wonderfully but not sure eyes brushes would work well as much as Make Me Cool eyes brushes. What do you recommend between two?